The markets are up this morning thanks to positivity surrounding the strong earnings results of McDonald’s Corporation (NYSE:MCD), among other companies. Both the S&P 500 and NASDAQ Composite Index are up by about 1.5% in trading today. However not all stocks are feeling the market’s love this morning. Healthcare services stocks have had a particularly rough morning, while a variety of other stocks are sinking of their own accord. We’ll study four such stocks in this article and see why their shares are being passed off like hot potatoes. 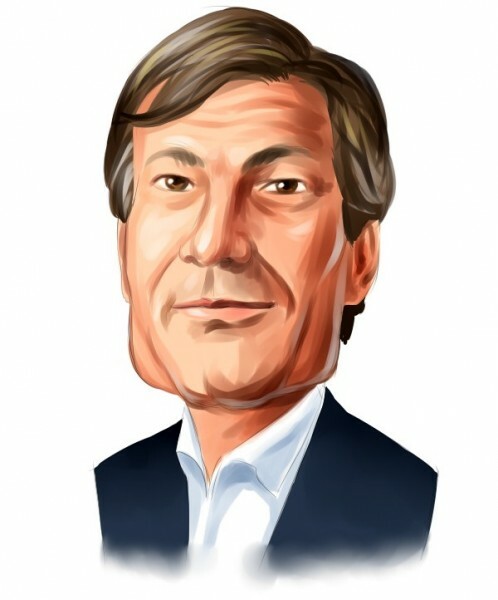 First up is Valeant Pharmaceuticals Intl Inc (NYSE:VRX), the first of two stocks in this article that are top choices of activist investor Jeffrey Ubben (pictured above), whose top picks continue to lag in the short-term. The brutal run continues for Valeant, which is down by another 18.54% today after the Canadian pharmaceutical company was compared to Enron in a research report from short-selling firm Citron Research yesterday, which caused shares to sink by over 26%. Valeant Pharmaceuticals Intl Inc (NYSE:VRX) defended its relationship with Philidor, which was questioned in the report, as well as its accounting practices, claiming they are sound. Nonetheless, the rebuttal has done nothing to stem the stock’s bleeding, as the once-red hot stock is now down by 32% year-to-date. Ubben held 14.99 million shares of Valeant Pharmaceuticals Intl Inc (NYSE:VRX) as of June 30. Ubben was also a major shareholder of American Express Company (NYSE:AXP), owning 11.10 million shares of the credit services company on June 30. Shares are down by 5.46% today after American Express Company (NYSE:AXP) reported underwhelming third quarter results after the markets closed on Wednesday. American Express Company (NYSE:AXP)’s EPS of $1.24 was $0.07 short of estimates, while its revenue of $8.19 billion was down by 1.4% year-over-year and missed estimates by $130 million. While the volume of U.S transactions was up by 7% year-over-year, the size of the transactions declined by 3%, partly due to lower gas charges at the pumps. Credit Suisse reiterated its ‘Underperform’ rating on the stock following the report, while cutting its price target to $71 from $74. Two more of the day’s sinking stocks are analyzed on the next page.